Sadly, I am not Cinderella. I don't own one shoe. 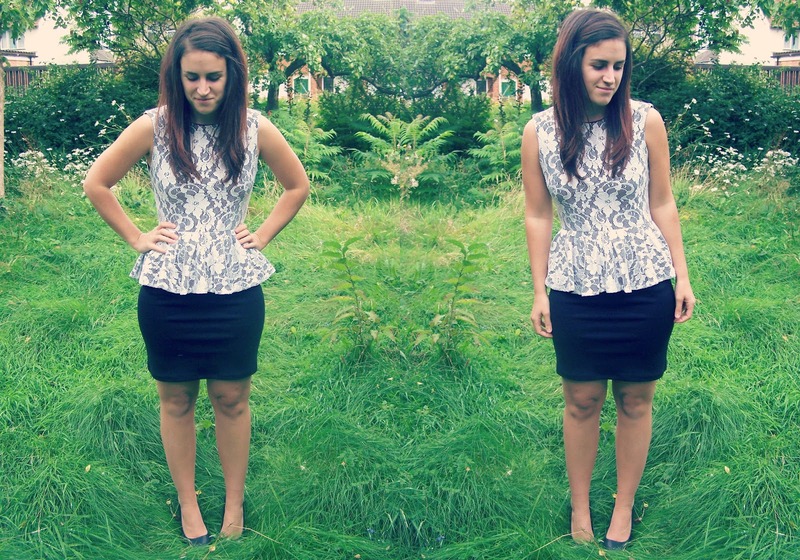 I do infact have two shoes on in the top photos, but the grass decided to show otherwise. I will be passing on my information to my parent's neighbours, and telling them to mow the lawn sharpish. So now we're over the shoe situation, we can all have a slight chuckle at the fact, that the peplum trend may not be for me. Now I love this dress, I really really do, it's lacy, it's white and black, and it's pretty. So so pretty. But in all honesty, I just think it highlights my already there hips. And I ain't not eating no more chips... Let me tell you THAT! Littlebum says he likes it a lot, but I think that's just because it's tight! And so does my mama, but I think that's because I actually look my age for once. However, I'm not convinced that I actually look good. Like you know the kind, REAL good?! Maybe this'll be a proper reason to sort out those thighs, and Cha Cha on down to Zumba more so that in, say three years time, the peplum trend and I can be friends. Probably a few years too late! 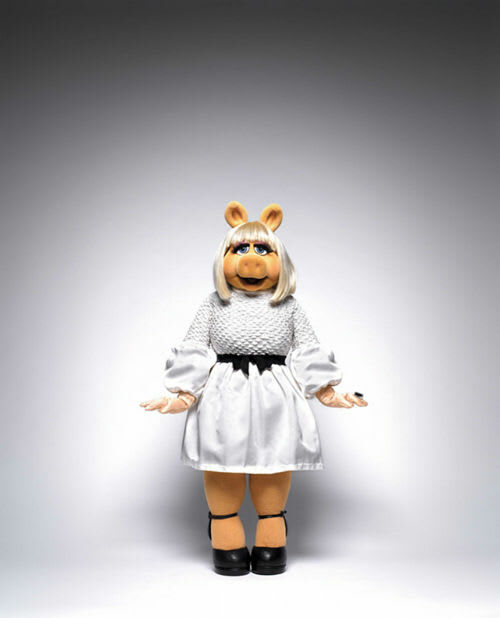 So Apologies Miss Piggy, I won't steal your limelight again, the spot is yours. You can have it back.